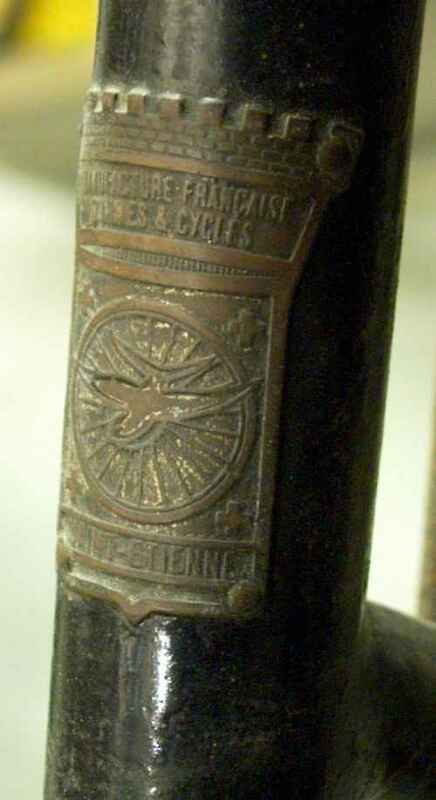 Occasionally we get an old bike in the workshop, and this four speed retrodirect from around 1925 is special enough to be shown here. 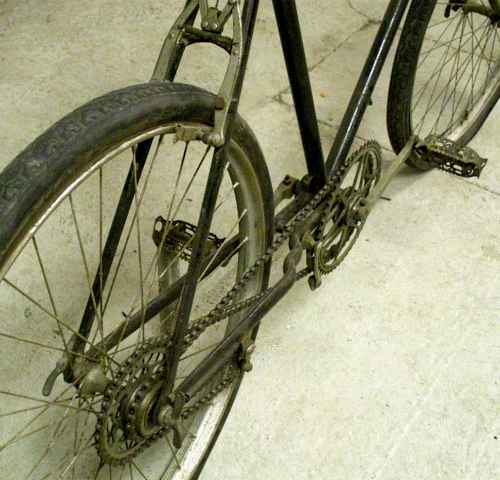 This post-war quality bike has two forward gears and two in reverse! 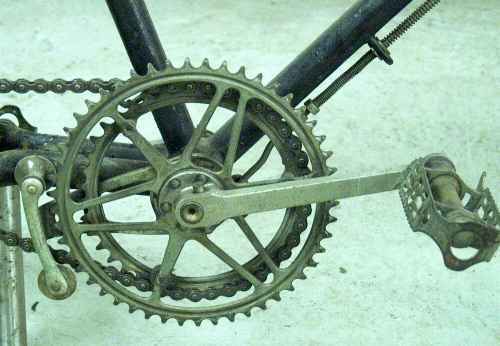 Not that the reverse gears result in driving backwards, as the crossed chain restored drive in the preferred direction. The front changer follows the trend in providing upshift if you pedal forward, and in allowing downshifts if you pedal back and doubles the gears provided by the two freewheels! 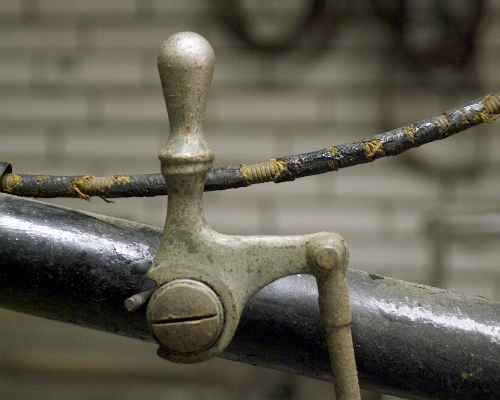 The frame is, as with more french bikes from this era, constructed in lugless gaswelded construction, and the finish was nickel plated, as you can see on chainwheel which was protected by lubricant. And here are the mechanics. 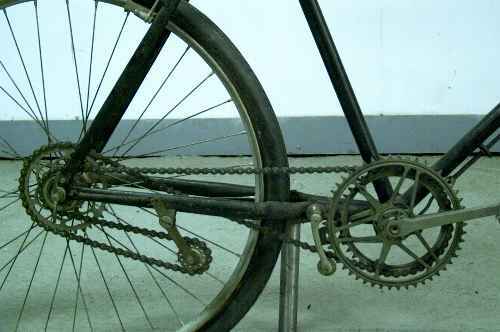 The arm rotates around the bracketshell and is provided with two conical protrusions which lift the chain from one chaiwheel and direct it to the next one. To change up you rotate the arm up while pedalling forward, to change down you reverse the procedure while pedalling backwards. 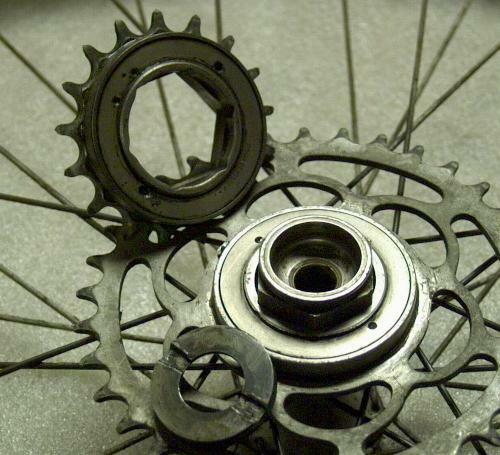 The cartridge bracketaxle is easily removed if you unscrew the lockring. 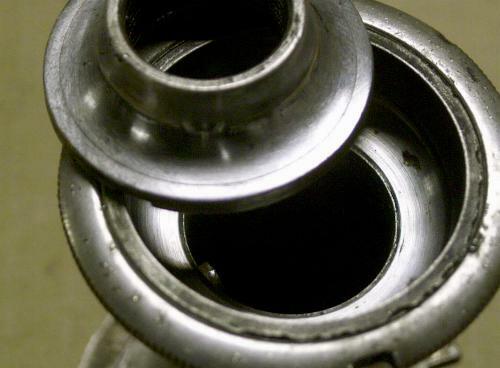 The hole in the RH side of the housing corresponds with an oiler in the bracketshell. 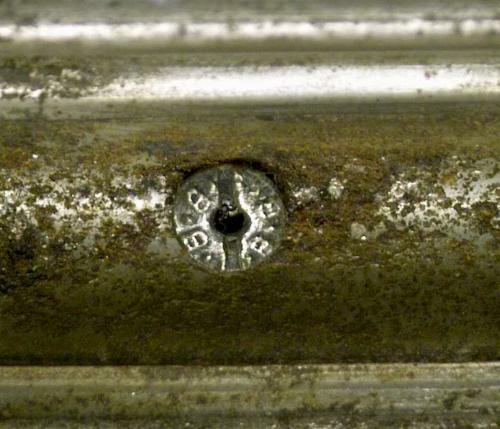 The flange on the left is part of the frontchanger. The bearingtracks of this 75 year old cup and conebearing still look a lot better than many current offering new! The spokenipples have their own logo. The prestavalves gave me another surprise, as I hadn't seen valves with a lefthanded thread before!